Next-generation software-defined storage tackles file-based storage. According to IDC's enterprise storage systems forecast, storage capacity deployed will reach 585.7EB by 2021, growing at a 26.5% compound annual growth rate (CAGR). Much of this growth in storage capacity is fuelled by growth in unstructured data such as e-mails, audio/video files and images, across different vertical markets such as healthcare, oil and gas, media and entertainment, telecommunications, and manufacturing. IT organisations are faced with several issues because of unstructured data growth, such as managing the data sprawl across disparate and potentially ageing storage infrastructure, and keeping data secure in the event of a disaster. At the same time, IT organisations are tasked with supporting new business objectives, reducing costs and delivering additional granularity on data via analytics and reporting. Historically, the storage requirements for unstructured data were addressed by traditional network-attached storage (NAS) solutions predominantly sold as turnkey appliances. To support data growth, new NAS solutions need to be deployed to satisfy increased performance and capacity requirements. 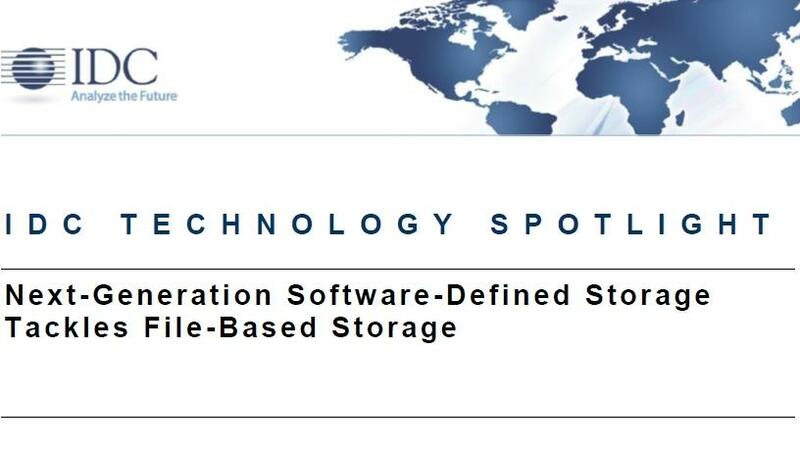 This paper examines Veritas Access, a software-defined file-based storage (FBS) solution. It also looks at the role, advantages, and benefits of next-generation FBS solutions and their value in the long run.